Although the library building opened to the public in December 1937, official dedication ceremonies were not held until the following March. The dedication ceremonies were incorporated into a gala weekend of festivities unlike any the small village of Deposit had ever seen. They began on Friday night with a testimonial dinner at the Moran House. More than 150 people attended. Following the dinner, an evening of entertainment was held at the Deposit High School. More than 750 people crowded into the auditorium to enjoy an extensive program. Clark Minor spoke about world affairs, providing many details about the situation in Europe pre-World War II. Musical and theatrical performances were given by both local and out-of town talent. The Deposit Symphony Orchestra (conducted by local dentist Dr. Guernsey Merchant) and the Deposit High School Band both performed. Ruth St. Denis, world-famous dancer and a pioneer of the American dance, traveled to Deposit to perform. Monologist Julia Vail rounded out the program. Miss Vail was another Deposit native who had gained fame as an actress and director touring all over the eastern United States. Saturday brought further celebrations. The formal dedication of the library was held in the afternoon, followed by a tea and reception. Over 150 people filled the new building to its capacity to hear the dedication program. Hundreds more waited outside to tour the building following the speeches. Thomas Mangan, Chancellor of the University of the State of New York, was principal speaker. The assistant supervisor of libraries in New York State also made remarks. Clark Minor spoke on the value of reading. A string trio of young ladies provided music. To conclude the dedication, Minor made a formal presentation of the library keys to library president Mabel Sturdevant. He then officiated at the sealing of the vault in the library wall behind the bronze plaque. 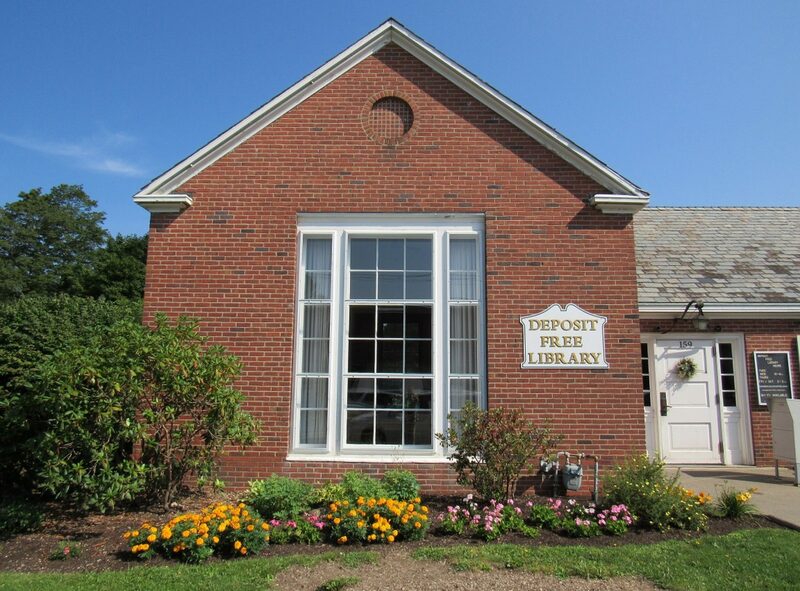 The following items were placed in the vault: the property deed, the library charter, a list of library subscribers, a list of those who donated toward the purchase of the site, copies of the Deposit Courier, and a dedication program. As far as we know, the archives remain there to this day.